Black radishes are apparently an Eastern European staple, but have recently been sighted in many a CSA harvest and local farmer’s markets. 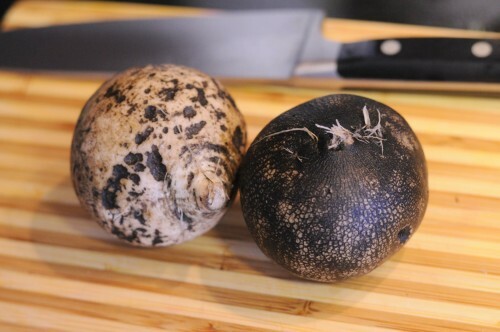 They rarely make it to mainstream supermarkets because their taste is even more unpopular than the Japanese radish daikon (labanos in Tagalog), which could be bitter when prepared incorrectly. 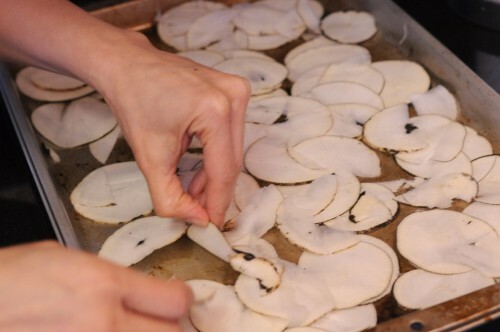 The meat of the black radish is completely white, but sharp and spicy, earning it the name “French horseradish.” I looked up ways to prepare it and the easiest one that came up was to bake slivers of them as chips! 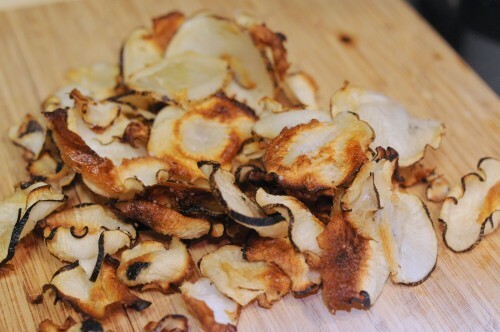 I simply sliced them thinly (by hand or using a slicer) and arranged them in a greased baking sheet. 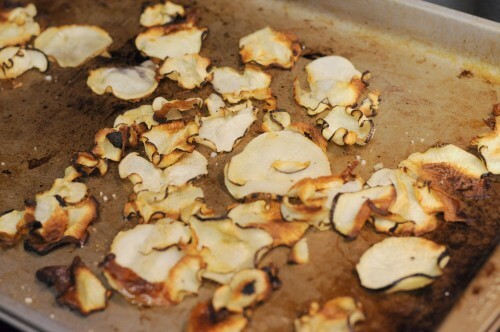 Sprinkle with rock salt and bake at 400F for 40 minutes, until edges turn brown and crispy. Eat, crunch, and be merry! 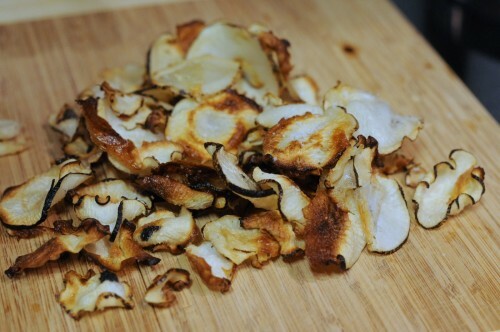 These chips are crunchy but with a bite of spice and bitterness. A great appetizer or side.